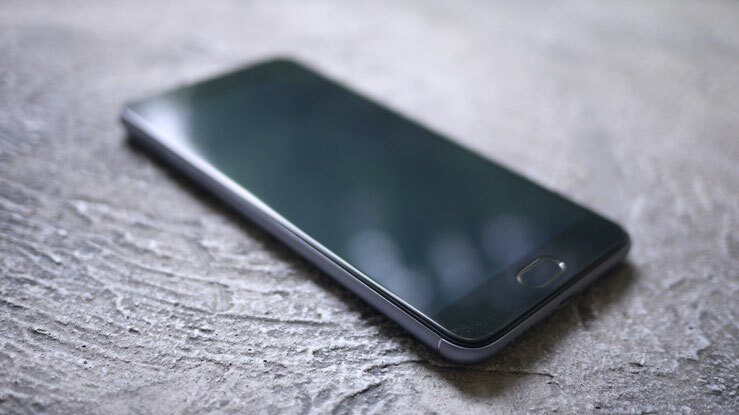 Having replaced the popular M2 Note, Meizu M3 Note has replaced the plastic casing on the metal, got normal oleophobic coating and bleed the battery. 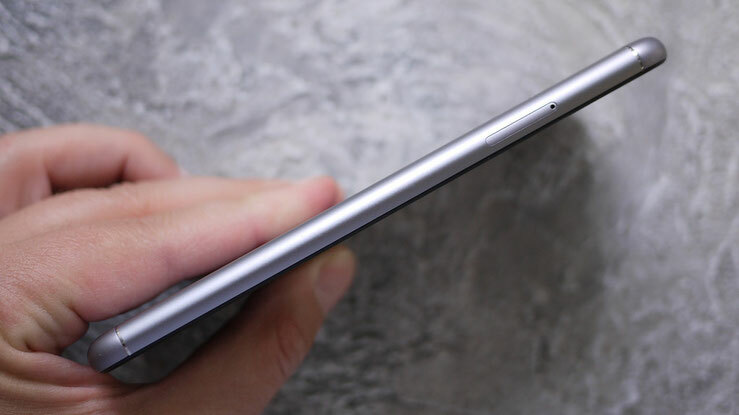 In appearance, almost as good as iPhone 6s Plus, the device retains an attractive price, but that does not prevent us to find faults. 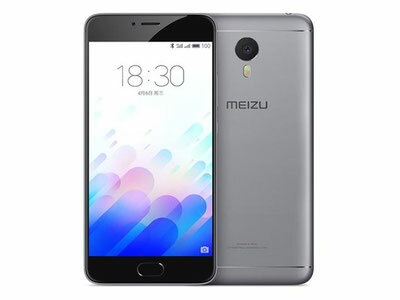 When creating M3 Note designers seem to have got their inspiration from the older models Meizu last year, in particular - in smartphones MX5 and Pro 5. So, for the production of all-metal housing trends, also known as a unibody, choose aviation aluminum-magnesium alloy of 6000 series. 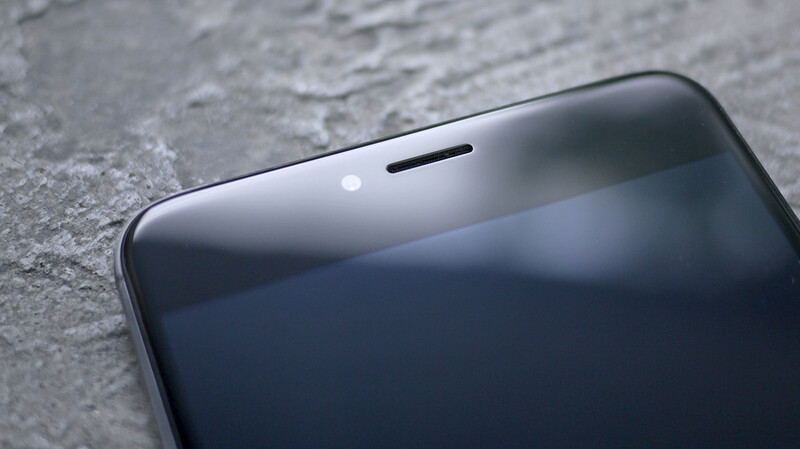 To the smartphone antenna is not shielded metal, provided two inserts from radio transparent material, separated from the aluminum strips in relief. Dimensions of new items, compared with M2 Note have not changed very much - 153,6x75,5x8,2 mm against 150,7x75,2x8,7 mm. But the weight for a more capacious battery predictably grew - 163 g versus 149 g.
Recall that in the precursor to the body content with glossy colored plastic and only used for gray matt polycarbonate. At the time of testing in the sale are offered two choices of color anodized housings M3 Note: silver (with black or white front panel) and gray (with black or white front panel). The entire front surface M2 Note, including the screen is covered with protective glass, which is chosen as Dinorex 2.5D T2X-1 from the company Nippon Electric Glass (NEG). 2.5D effect is smooth "rounding" of the glass on the front of the perimeter. Above the display, with the traditionally narrow side frames, located grille "conversational" dynamics, surrounded by the front camera lens (left), light sensor and proximity, as well as LED (right). Last regular means the smartphone, it seems, is not used. 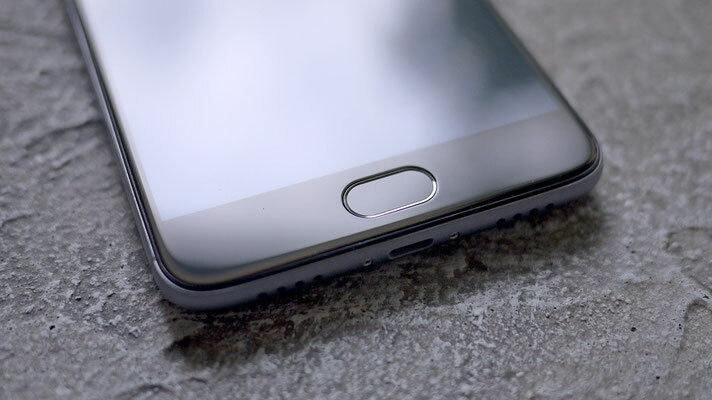 Below the display is a mechanical key with integrated fingerprint reader mTouch 2.1, it looks a lot like mBack, which first appeared in the smartphone M2 Note. From the latter, it has inherited and its core functionality. 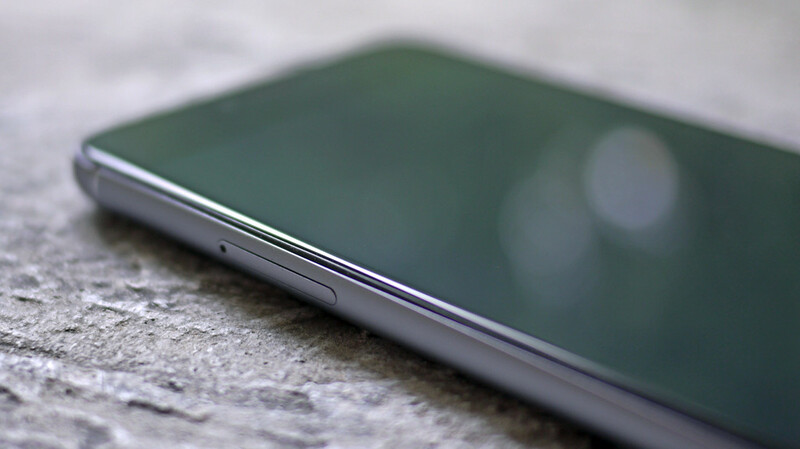 Thus, the conventional touch (tap) this button activates the "Back", short press hardware "click" returns to the main screen ( "Home"), as long as pressing (and holding) extinguishes the backlight. But the "recent apps" replaces swipe up from the bottom edge of the display. After some getting used to this control scheme becomes very convenient. On the right edge in a small recess settled volume control and on / lock button. The left edge of the slot takes indoor dual tray that can accommodate either two modules identify nanoSIM format subscriber or second place takes microSD memory expansion card. To open the lock combination tray need a special tool. As it continues, it can be used a thin paper clip. Unfortunately, the production of the device (at least in our test sample), the size of the tray slot and drove not ideal for him, resulting in a slight rattling tray, if you shake the smartphone. The hole for the second microphone (for noise reduction and sound recording) and 3.5-mm connector of audio accessories remained at the top end. MicroUSB connector between the two fixing screws on the bottom frame decorative lattice (four round holes in each). At the same time, hidden under the left "Elementary" microphone, and under the right - "multimedia" speaker. 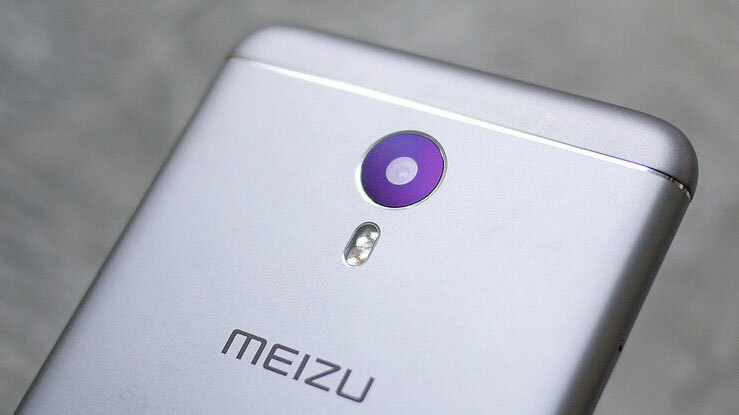 On the back of the first catch the eye relief strips separating the metal from radio transparent plastic, as well as that of the Pro 5, the transfer of a stylized logo Meizu closer to the main camera lens and dual two-tone LED flash. 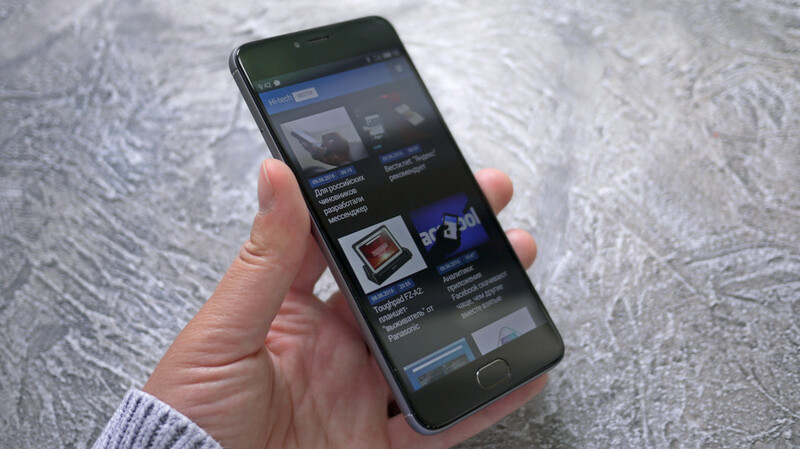 Although the 5.5-inch diagonal screen, a new smartphone, however, as the M2 Note, comfortable and easy to hold in your hand. 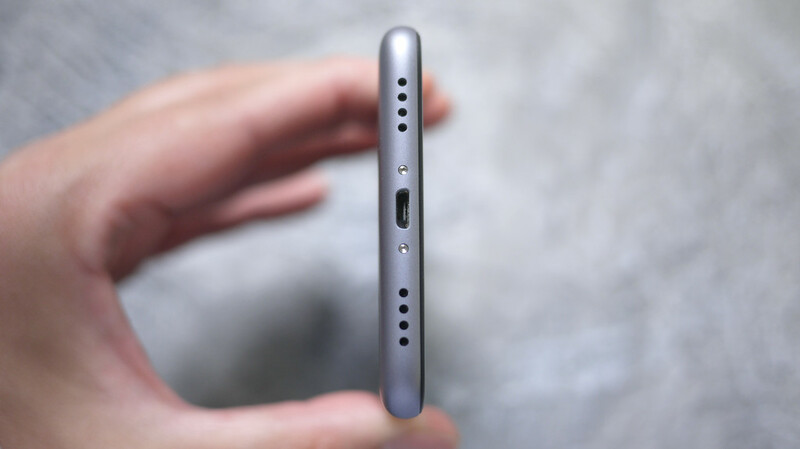 Besides, a little rough surface of the metal rear panel is pleasant to the touch. To screen M3 Note uses a 5.5-inch IPS-matrix, which, at a resolution of 1920x1080 pixels (Full HD) and widescreen aspect ratio of 16: 9, the density of pixels per inch on the passport is 403 ppi. For its manufacturing technology uses LTPS (Low Temperature Poly Silicon), as a replacement of amorphous silicon polycrystalline allows, ultimately, to achieve wider viewing angles (up to 178 degrees), better color palette, lower power consumption and response time. In turn, the full lamination technology GFF (Glass-to-Film-to-Film) eliminates the air layer between the display layer that serves as a basis for anti-reflective properties and a good reflection reducing effect. Recall that the entire front panel, including the screen is covered with protective glass NEG 2.5D Dinorex T2X-1. 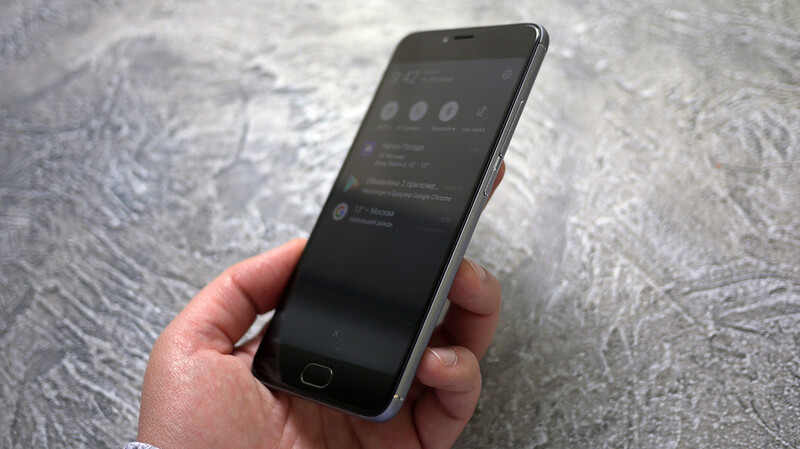 It does not forget to put an oleophobic coating, which, unlike used for M2 Note, more efficient (the glass is cleaned very easily and the finger slides on surfaces without problems). With the support of technology MiraVision 2.0, which provides the best balance between power consumption and display, screen brightness and color depending on the light conditions are regulated dynamically. 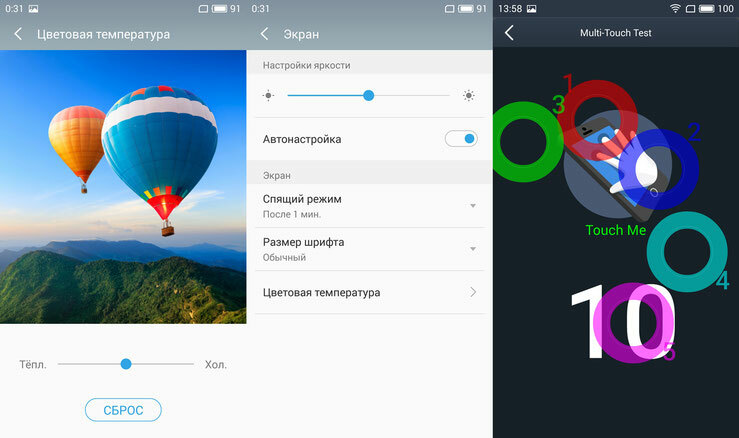 By the way, claimed contrast ratio of 1000: 1 and a maximum brightness - 450 cd / m². At the same time, the level of illumination over a fairly wide range of handling, or according to their understanding, manually or automatically (option "Auto Tuning"), based on information from the light sensor. multitouch technology allows to process up to ten simultaneous keystrokes on a capacitive screen, which is confirmed by the results of the program AntTuTu Tester. The settings also adds the ability to adjust the color temperature so that the colors on your taste, you can make a warm or, conversely, cool. In addition to the large viewing angles achieved fairly high-quality anti-reflective coating, so that even in the bright summer sun picture remains readable. The main camera M3 Note found 13-megapixel BSI-matrix (OmniVision OV13853 PureCel, optical size of 1 / 3.06 inches), as well as two-color dual LED flash with different color temperatures. Camera lens with 5-element optics, indoor glass Corilla Glass 3, received aperture f / 2.2 and faster (0,2 c) phase detection autofocus. The maximum photo resolution is achieved at a ratio of 4: 3 and is 4208h3120 points (13 MP). Examples of the photo can be seen here. In front camera 5-megapixel BSI-sensor (Samsung S5K5E8 or OmniVision OV5670 PureCel, optical size 1/5 inch) is equipped with a wide-angle lens 4 lens with f / 2.0 aperture. But autofocus and flash are not available. Maximum image size classic aspect ratio (4: 3) - points 2592x1944 (5MP). Both cameras are able to record video as Full HD (1920x1080 pixels) at a frame rate of 30 fps to, in this case, the content is saved in MP4-container files (AVC - video, AAC - sound). 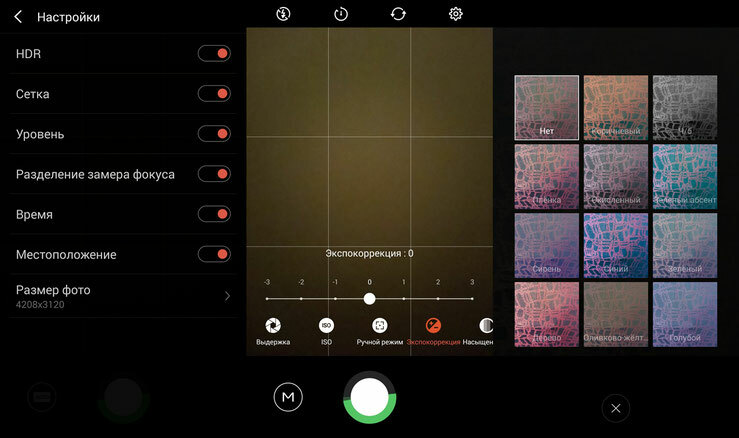 Interface "Camera" app M3 Note, compared to the same of its predecessor, a little "ennobled", but the main features have changed little. 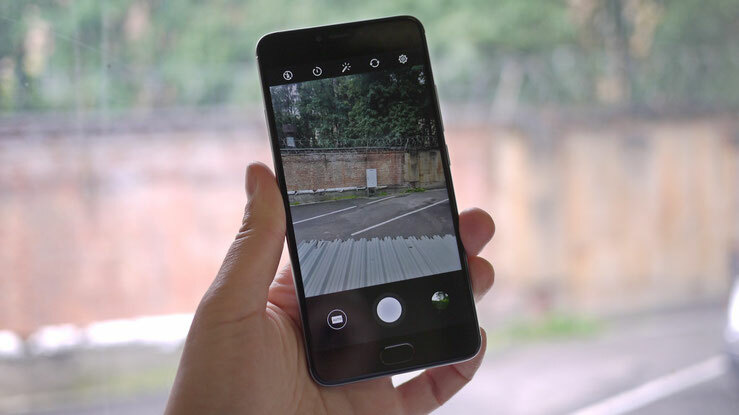 At the site remained "Auto", "Manual", "Portrait", "Panorama", "Focus Shift" and "Slow Motion" (4 times the resolution of 640x480 pixels, up to 60 minutes). At the same time, removing the "Scanner", added the "Macro" and "GIF" (up to 6 minutes of animation). In the settings you can select the HDR mode, as well as determine the size of the photo and video quality. Shooting in manual mode (M) assumes the alignment shutter speed, ISO, exposure compensation, saturation, white balance, etc. By activating the appropriate option, measurement focus and exposure can be performed separately. Furthermore, disposal is almost filters dozen images. Switch the viewfinder with the main camera on the front and back vertical convenient swipe. But the volume rocker (both increase and decrease) are also invited to use the shutter. Make notes the role of ISP TrueBright image processor that allows to take a picture with a lack of lighting more vivid and clear. However, a special recording quality even in such circumstances is difficult to boast the main chamber. Not only the placement of the lattice "multimedia" speaker, but also their acoustic abilities, M3 Note is virtually identical to its predecessor. 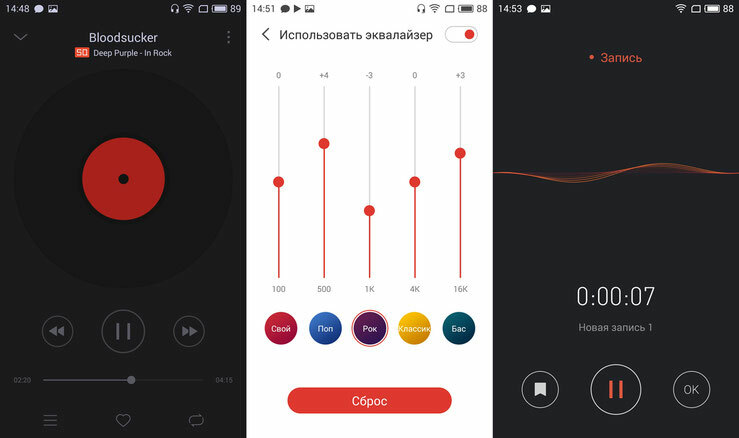 Established means all smartphone also allows to listen to audio files, for example, with extensions FLAC, by codecs for audio data compression without loss of quality. Once connected, the audio headset has a 5-band equalizer with presets and a manual setting. Built-in FM-tuner in the vehicle, alas, no. A simple "Recorder" makes a pretty high-quality monaural recording (44.1 kHz), which stores the files in MP3 format. But with a Bluetooth music playback discovered a small problem - clicks that occur when you take smart phone in your hand or on the table to move. Apparently, the reason is the lack of screening of the audio section of the static electricity on the body. If M2 Note bet on the 64-bit platform MediaTek MT6753 eight-core ARM Cortex-A53 (1,3 GHz), for M3 Note firstborn chosen from the family of middle-class chipsets MediaTek Helio P10 (he also MT6755), designed by According to the manufacturer, for thin smartphones. At the heart of this crystal - 8-core processor, where the four core ARM Cortex-A53 clocked at up to 1.8 GHz, and four more - up to 1.0 GHz. In this case, 2-core architecture ARM Mali-T860 MP2 (550 MHz) with support for OpenGL ES 3.2 and OpenCL 1.2 is used as a graphics accelerator. MT6755 chip is made on the new process technology TSMC 28HPC + (28 nm), which, according to the manufacturer, provided the reduction of energy consumption by 30-35% compared to chips produced in compliance with the "old" design rules 28HPC. In addition, energy efficiency while maintaining sufficient processing power is achieved by automatic adjustment of processor frequency and video accelerator. Helio P10 can work in networks of LTE-TDD, LTE-FDD Cat. 6 (300/50 Mbit / s), HSPA +, TD-SCDMA, EDGE, etc., and also provided with a Bluetooth 4.0 LE interfaces 2-band and Wi-Fi. Among other branded "highlights" MediaTek MT6755, in addition MiraVision 2.0, it is worth noting the load optimizer processor cores CorePilot and heart rate monitoring system (using the built-in camera smartphone) Heart Rate Monitoring. The basic configuration supplemented with M3 Note RAM type LPDDR3 (933 MHz), which is controlled by a single-channel controller. 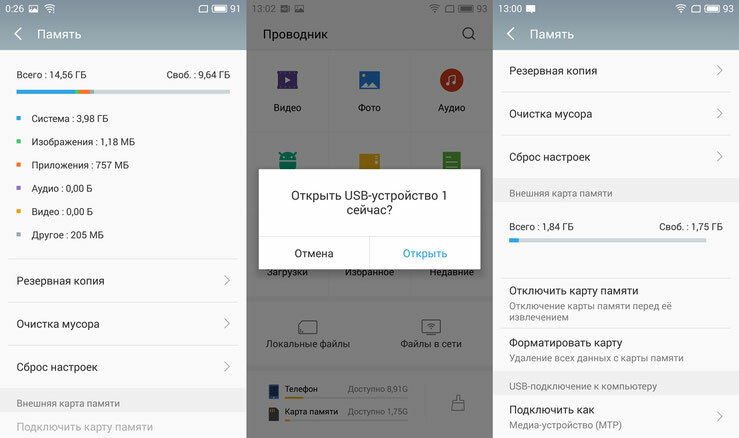 Note that in versions the smartphone with 16 GB or 32 GB of internal storage (eMMC 5.1) installed 2 GB or 3 GB of RAM, respectively. We went for a test device with a combination of 2 GB / 16 GB. 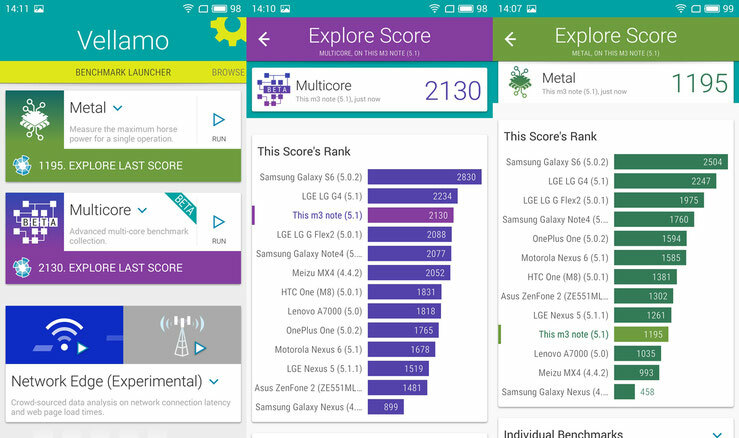 Based on published data, Helio P10 performance competes with the chipset Qualcomm Snapdragon 615/616, which is consistent with the results of tests performed. 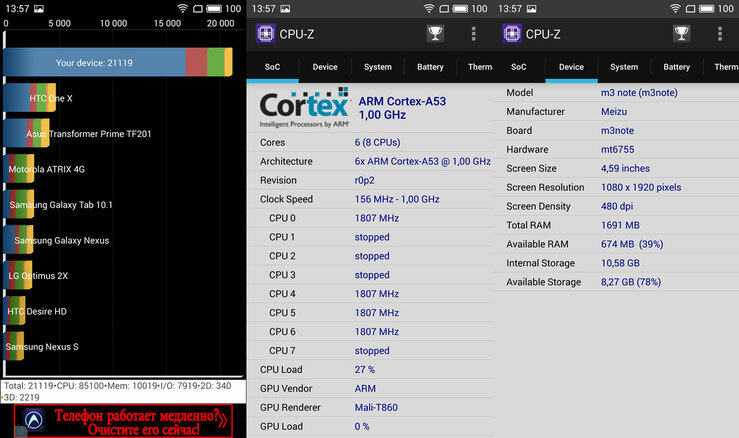 The number of "virtual parrots" obtained on synthetic benchmark AnTuTu Benchmark, obviously predetermined selected hardware platform. 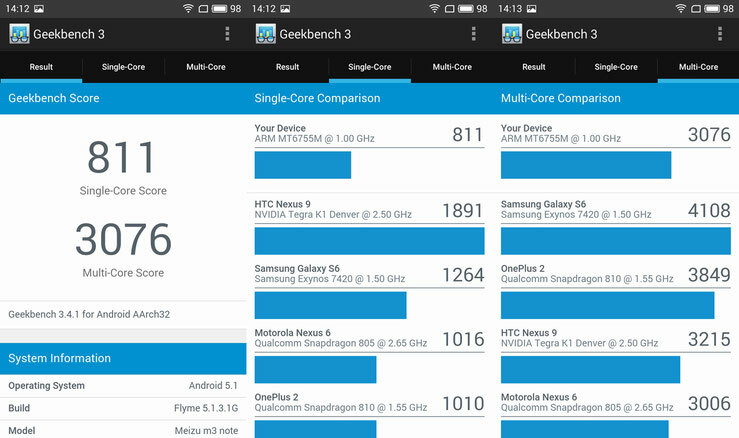 Efficiency of processor cores (Geekbench 3, Vellamo) new smartphone looks pretty optimistic, but the assessment of the amount of "horsepower" is not so upbeat. In settings Epic Citadel visual test (High Performance, High Quality and Ultra High Quality) average frame rate changed as follows: - 60,1 fps, 59,8 fps and 41,5 fps, respectively. 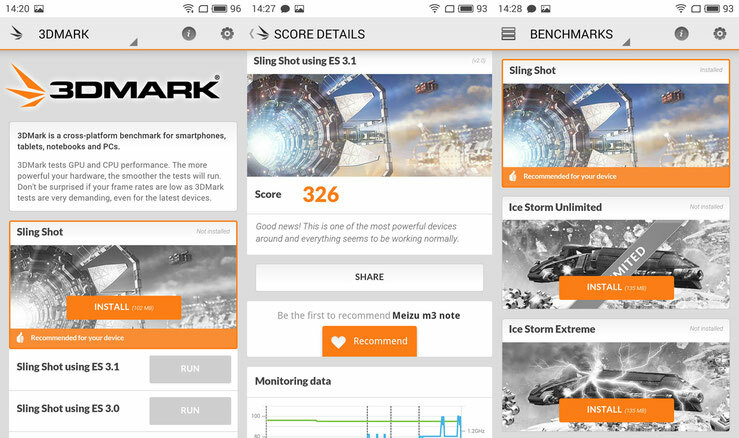 On universal 3DMark gaming benchmark, where the Meizu M3 Note tested in the recommended set Sling Shot (ES 3.1), recorded rather modest results in 326 points. If simple games problem is unlikely to arise, at the "heavy" (Asphalt 8: At take off, World of Tanks Blitz) better to restrict medium settings. 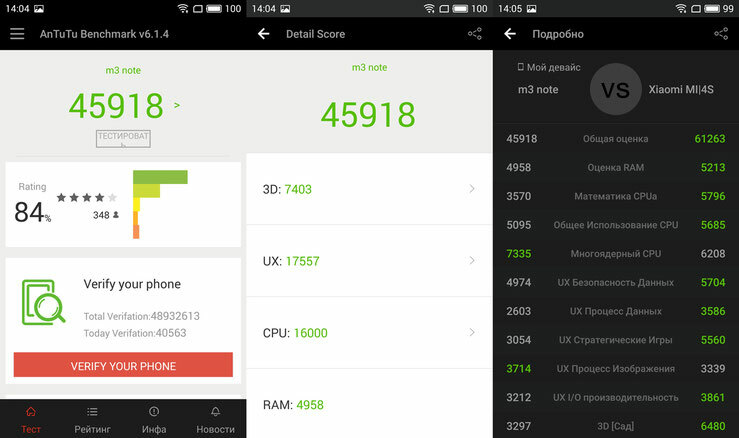 In turn, the total number of points, "knocked" on the cross-platform smartphone benchmark Base Mark OS II, was 986. Of the 16 GB of internal memory stated in the test model is available about 14.56 GB, and 9.6 GB of free about. In this case, as in M2 Note, for the expansion of existing storage capacity for memory cards microSD / HC / XC maximum capacity up to 128 GB. However, a dual tray, which is inserted into a memory card, universal, and, taking it one place, it is necessary to sacrifice the installation of the second SIM-card (nanoSIM format). 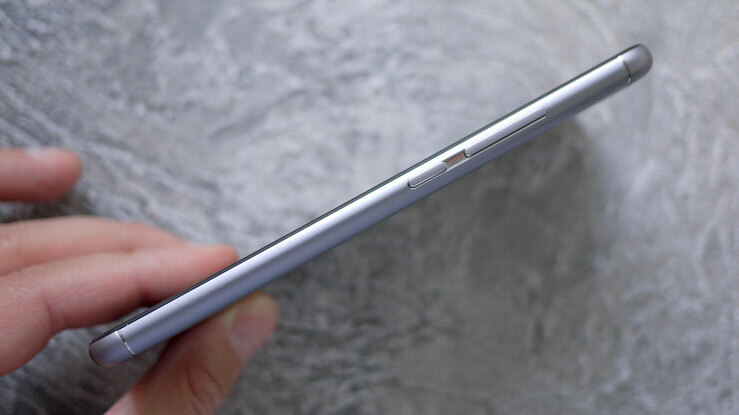 By the way, to extend the built-in memory can also be due to support USB-OTG technology, by connecting an external drive. Similarly predecessor set of wireless communications in M3 Note also includes a 2-band Wi-Fi-module 802.11 a / b / g / n (2,4 and 5GHz) and Bluetooth 4.0 (LE). One radio channel unit when two nanoSIM-card (4FF format) operates with them Dual SIM Dual Standby mode, in other words, both SIM-card active, but when one is busy, and other available. 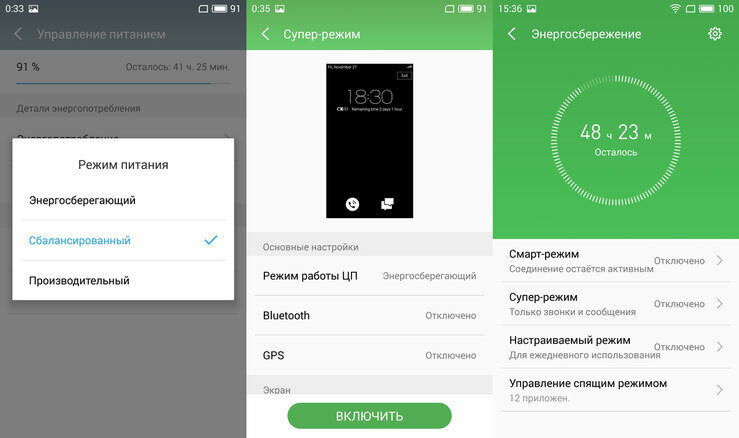 Both tray support work with slot 4G, thus, SIM-card data, as well as network priority mode is selected in the menu. 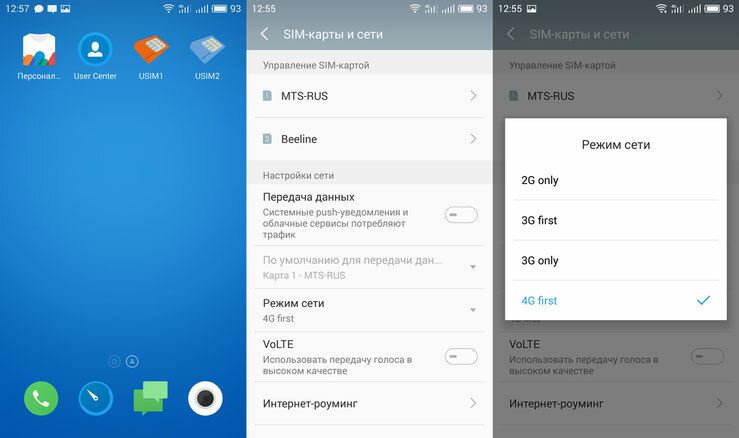 Unfortunately, available are only two "Russian" FDD-LTE Band - b3 (1800 MHz) and b7 (2600 MHz). But the most "disruptive", the low-frequency b20 (800 MHz), as before, was "behind." Manufacturer emphasizes support for promising technology VoLTE (Voice over LTE). 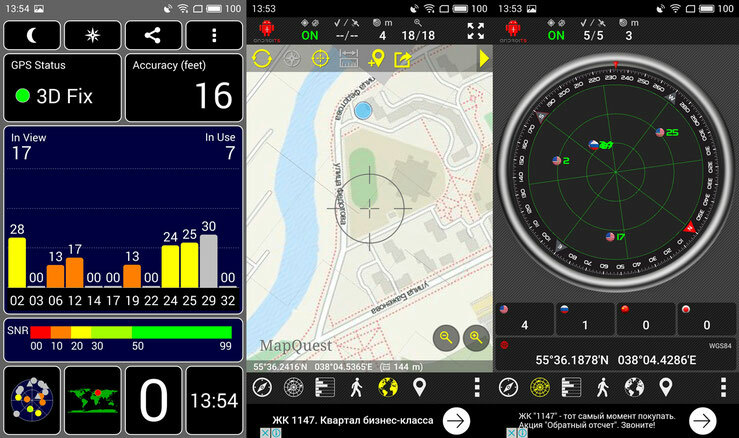 Built-in multi-system receiver uses the GPS and GLONASS satellite constellations for positioning and navigation, which is confirmed by the results AndroiTS GPS Test and the Test GPS programs. Also provided technology support for A-GPS (coordination via Wi-Fi and cellular networks). The volume of a lithium polymer battery, which was equipped M3 Note (4100 mAh) as compared to its predecessor (3100 mAh) increased quite considerably - by about 32% (1000 mAh). 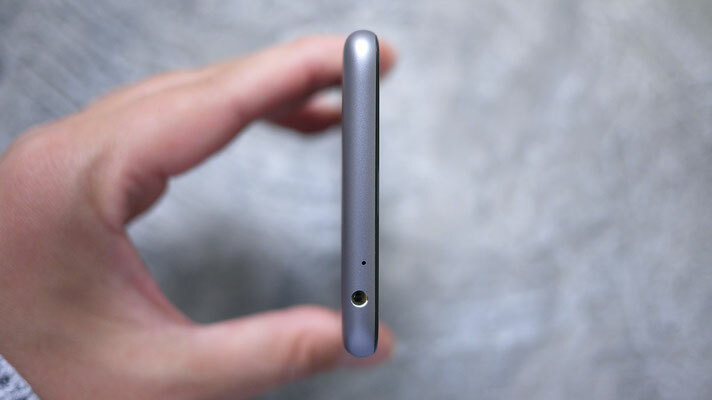 Despite this margin of capacity, the new smartphone housing became 0.5 mm thinner. Supports fast charging is not here. The kit comes with the smartphone power adapter (5 V / 2 A). To fill the battery up to 100% of the level of 15-20% will need about 2 hours. 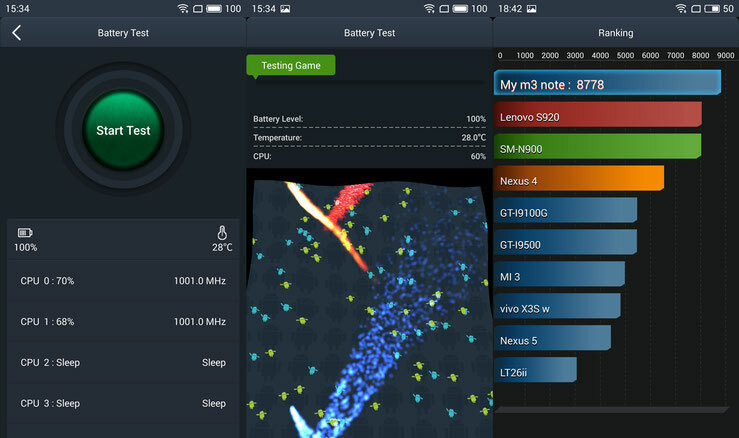 On tests AnTuTu Tester battery managed to earn an impressive 8778 points. At that time, as the M2 Note confined here 6289 points. When filled to 100% battery manufacturer promises up to two days of work in the active mode, or up to 17 hours of video playback or 36 hours of music listening. Test set of videos to MP4 format (hardware decoding) and Full HD-quality at full brightness spun continuously for almost 9.5 hours. In the settings, see "Power Management", depending on the intended load, you can force the smart phone mode "Balanced" to "Power Save" or "productivity". In addition, in the section "Optimization of energy consumption," we do not only manage the sleeping mode of application, but also to take advantage of flexible settings to conserve battery power - "Smart", "Super" and "Custom". 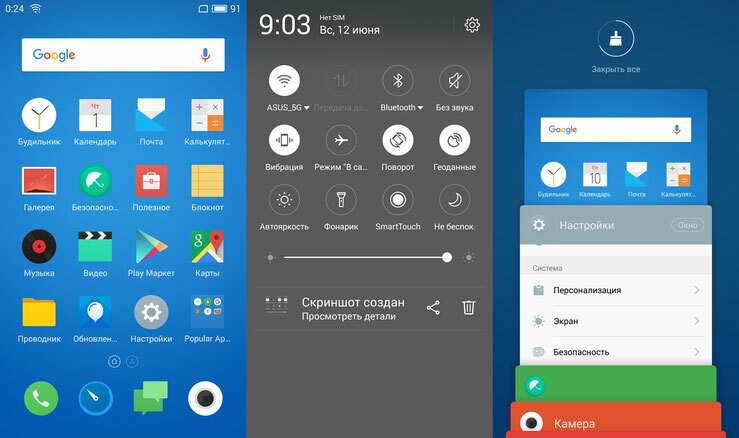 M3 Note smartphone operates under the operating system Android 5.1 (Lollipop), the interface of which is hidden under a proprietary shell Flyme OS 5.1.3.1G. 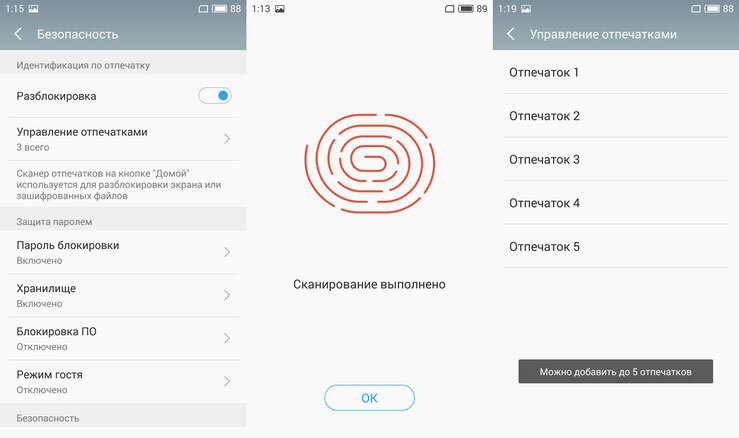 It should be noted that in the recent versions of firmware Flyme including the above, first the Play launch store applications Google (creating a Google account) must be performed on a smartphone with an installed SIM-card. This additional authorization device has become one of the new safety requirements. All shortcuts to programs, folders, and widgets to Flyme launcher placed directly on the desktop. Swipe down opens the Quick Settings panel (which now has a slider to adjust the brightness), and swipe up - recently opened applications. In the section "Special. Features", still collected possible smartphone gesture control, including control "ring" SmartTouch (the screenshot is not displayed) with adjustable transparency. 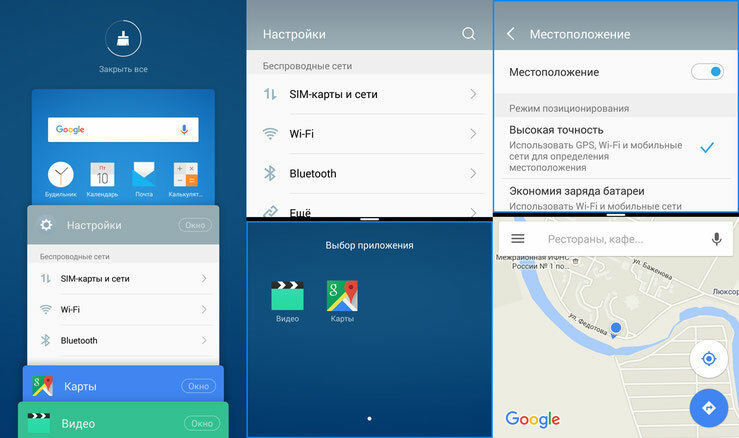 The new version of the shell have the opportunity to share the screen for simultaneous display of the two applications, so far it only applies to programs "Settings", "Video" and "Maps". With the help of (up to five) fingerprints obtained at high speed (0.2 seconds), the fingerprint scanner mTouch 2.1, you can block not only the screen, but also access to files and applications. On M3 Note set a minimum set of software. 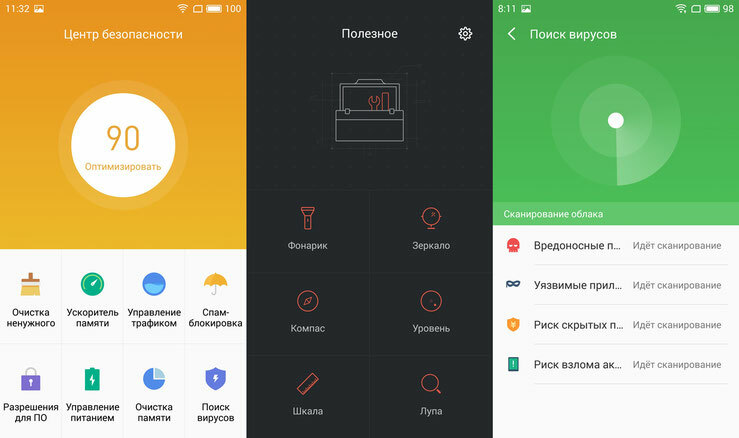 This software can be distinguished collection of utilities for regular care of your smartphone, collected in the "Security Center" (scanning for viruses, cleaning the "garbage", clear memory, power management, etc. ), as well as practical tools in the application "Useful" ( "Mirror", "Torch", "line", etc.). Improvements in the Meizu M3 Note, in comparison with its predecessor M2 Note, affected not only the replacement of plastic on the aluminum alloy, but also a functional filler. Now, in the smart phone, which can be set to 3 GB of RAM and 32 GB of internal memory, uses a new processor, significantly increased battery capacity, as well as add quick fingerprint scanner. Moreover, both of the tray support in slot technology not only LTE but also VoLTE. Unfortunately, some disadvantages of its predecessor, and moved into the new model. In particular, the "overboard" was 800 MHz LTE band, remained compulsory choice between the second SIM-card and memory expansion, and a built-in FM-tuner still missing. 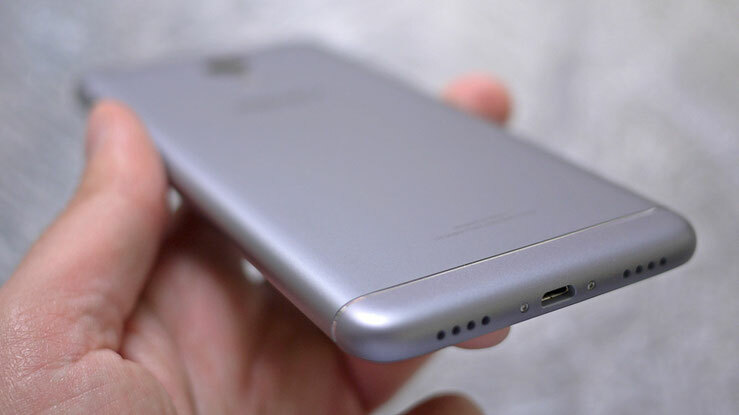 As far as the nearest competitor Meizu M3 Note, among them looks good Xiaomi Redmi Note 3. 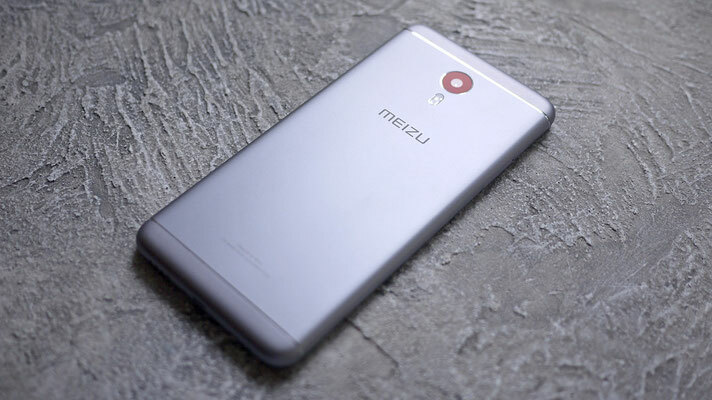 Not less metal than the novelty of the Meizu, he received a more powerful processor, 16-megapixel camera, and the battery is almost the same capacity (4000 mAh ).